Known for spectacular views, fabulous beaches, and beautiful coastal homes, there has never been a better time to look at the affluent city of Del Mar for real estate. Whether you are interested in being near the excitement of the Del Mar Horse Races, seek the tranquility of ocean waves at your front door, or simply desire to own a piece of land near the Pacific Ocean, the pros at Hill Realty Group are waiting to assist you. Del Mar is appropriately named as a city that sits on the Pacific Ocean, meaning “by the sea” in Spanish, but it has become a famous location all on its own. 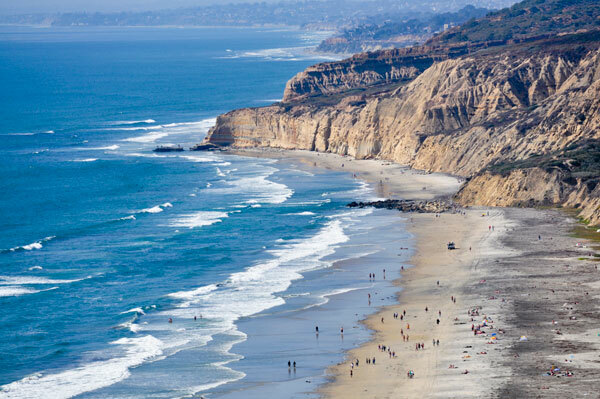 The gorgeous beaches of Del Mar and even the Torrey Pines State Beach have served as many a backdrop for television shows and movies but most notably, people here simply love the view. A big hit in the area is no doubt the Del Mar Races. Patrons come from near and far for a chance to hit it big on their favorite horse. Events take place all year long at the Del Mar Fairgrounds but most anticipated is San Diego County Fair for rides, games, animals, and so much more. Spend a day shopping or dining at the European style market place known as Del Mar Plaza. The perfect day trip is just a few minutes down the scenic route to Torrey Pines State Reserve. Conveniently located along the coast of the Pacific Ocean, the Brigantine Del Mar is perfect for fresh seafood and a spectacular view of the Fairgrounds. Stop by the stylish settings of the famous Arterra restaurant for a sampling of their new age menu. As part of the Del Mar Union School District, students here will attend grades K-8 in highly awarded schools like the Del Mar Hills Elementary School, Del Mar Hills Academy, and Torrey Hills School. Middle and high school students will attend schools within the San Dieguito Union High School District such as the Earl Warren Middle School, Carmel Valley Middle School, Oak Crest Middle School, Torrey Pines High School, Canyon Crest Academy, or La Costa Canyon High School to name a few. Private charter schools are nearby as well, such as Winston School for grades 4-12. Your Hill Realty Group agent will be able to assist you with learning more about the schools within Del Mar. We here at Hill Realty Group are excited to assist you with your Del Mar real estate needs. Schedule a tour of the available homes for sale in Del Mar or give us a call to learn more about your opportunity to make a home “by the sea” today.